Vanderbilt Cup Races - Blog - When Did the Alco Racer Become the “Black Beast”? 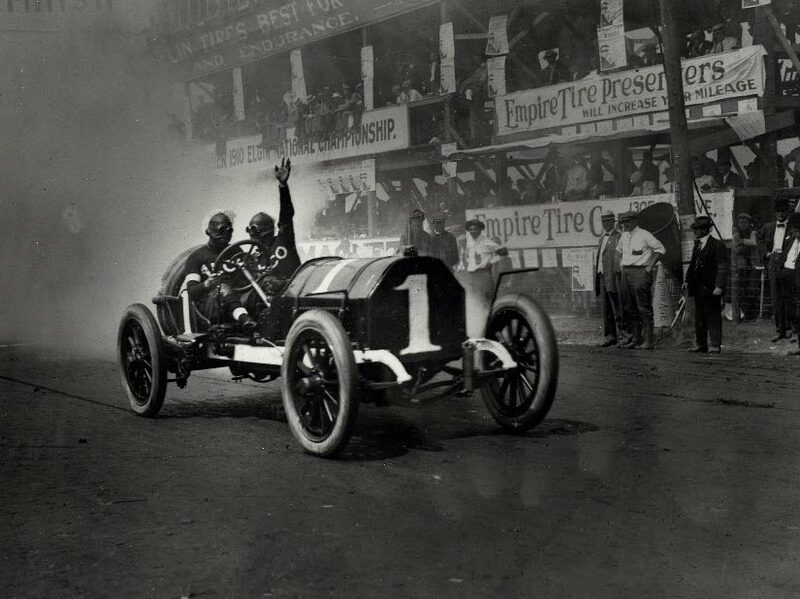 The Alco Racer was officially nicknamed the Black Beast before participating in the 1911 Elgin National Trophy Race...which turned out to be be its last major race. Here are the details. By the summer of 1911, the Alco Racer driven by Harry Grant and his mechanician Frank Lee had built a 'beast" reputation by winning five of 15 major races including the 1909 and 1910 Vanderbilt Cup Races. In all five victories, the racer's hood was painted "black". In the two races in which the Alco's hood was painted white, it had finished out of the winner's circle. 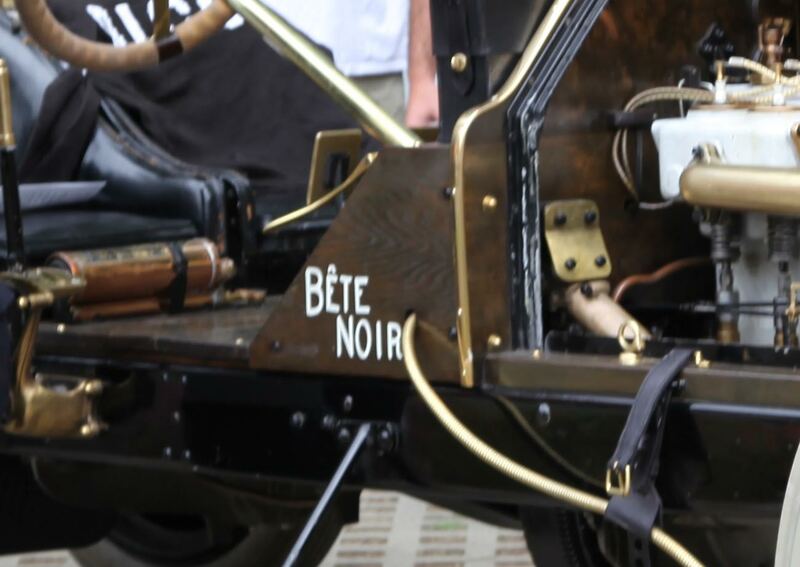 For good luck and, possibly in recognition of American Locomotive Company's early relationship with the French Berliet company, a "Bete Noir" logo was placed on the right side of the the Alco Racer prior to the 1911 Elgin National Trophy Race. Translated as the "Black Beast", the logo was actually misspelled, missing an "e" because of the presence of the speedometer cable. 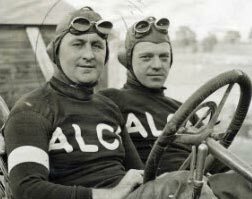 Driver Harry Grant was shown here with his mechanician George Babcock prior to a practice run for the Elgin. This was the only major race in which mechanican Frank Lee did not ride with Grant. The reason was simple: Lee also drove another Alco in the race-one of three Alco racers in this race.